This is the total number of items in the warehouse, including items on goods-out notes, items in the packing process and anything else in progress. Cannot go negative. The total number of items reserved for orders, plus the total number of items that exist on open goods-out notes (fulfilled but not yet shipped). Cannot go negative. 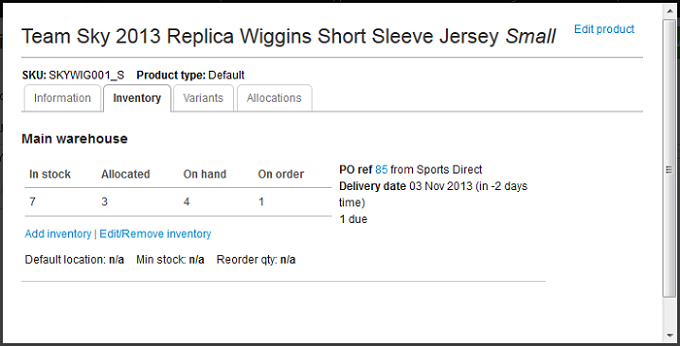 Total quantity of an item in stock less total allocated. 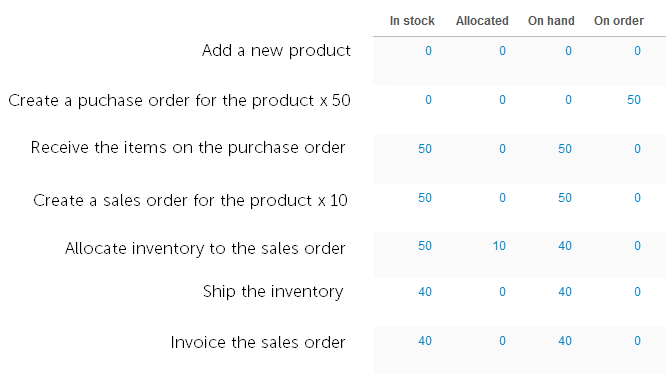 This is the value that you have available to allocate to other sales orders. Cannot go negative. This is the total number of items on open purchase orders which you are still waiting to receive.